A Coulsdon mum has spoken of her pride this Mother’s Day that her daughter is set to become a lifesaver in the ambulance service. 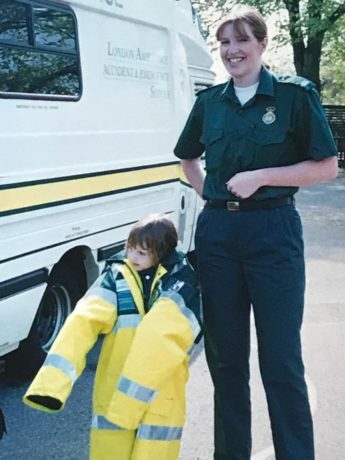 Amelia Wilkie, 19, will complete her training to be a medic with London Ambulance Service this Friday (29 March), exactly 30 years after her mother, Tina, joined the Service. 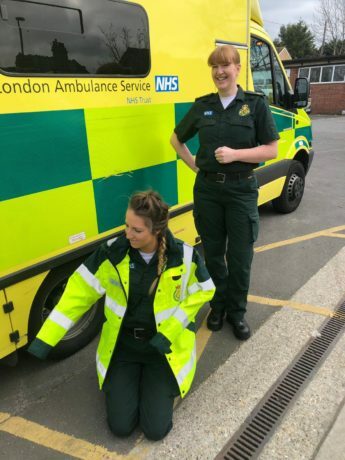 Amelia, who will be based at Croydon ambulance station, was inspired to follow her parents into the profession after watching them help a victim of a serious road traffic collision outside their home in 2017. She quickly alerted her parents Graeme and Tina – who were off-duty – and sprang into action to help the injured teenager. Tina, 48, and a mother of two, said: “When I joined the London Ambulance Service, I remember the training being tough. However, back then our equipment was quite basic and it was all about getting the patient to the hospital as quickly as we could. The role of the ambulance clinician has evolved so much and this is clear watching Amelia go through the rigorous training of not only learning the basics of emergency aid but also how to obtain and read ECGs, administer drugs, and knowing how to use and understand the extensive monitoring machines and equipment that is now a part of every ambulance clinician’s working day. “Amelia has worked hard and has been totally dedicated throughout. I am so proud of everything she has achieved to this point and much of this is due to the wonderful training officers at Bromley. Graeme and Tina met while both working at London Ambulance Service in 1989. Tina remains at the Service as a paramedic and teaches life-saving skills including cardio pulmonary resuscitation (CPR) and using defibrillators. Graeme, who worked for the Service for 38 years – including a secondment on London’s Air Ambulance – is now retired, however, works part time in the Service’s south east London NHS 111 control room.